Instructions: Click here to view a larger photo of this project. Choose designer paper and cut to size to cover the make-shift shadow box. Adhere paper using dries clear glue and assemble shadow box. Use your craft knife to cut any loose edges. 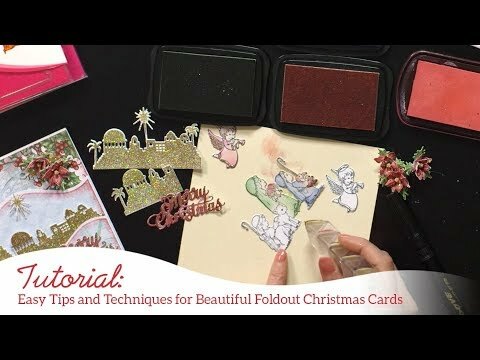 Stamp your Merry Christmas sentiment, window and candle onto the watercolor paper using the Black Hybrid ink and die cut with the coordinating dies. Once done, color your images using the Zig clean color brush pens, add clear cardstock to the back of window and adhere these on shadow box as shown. 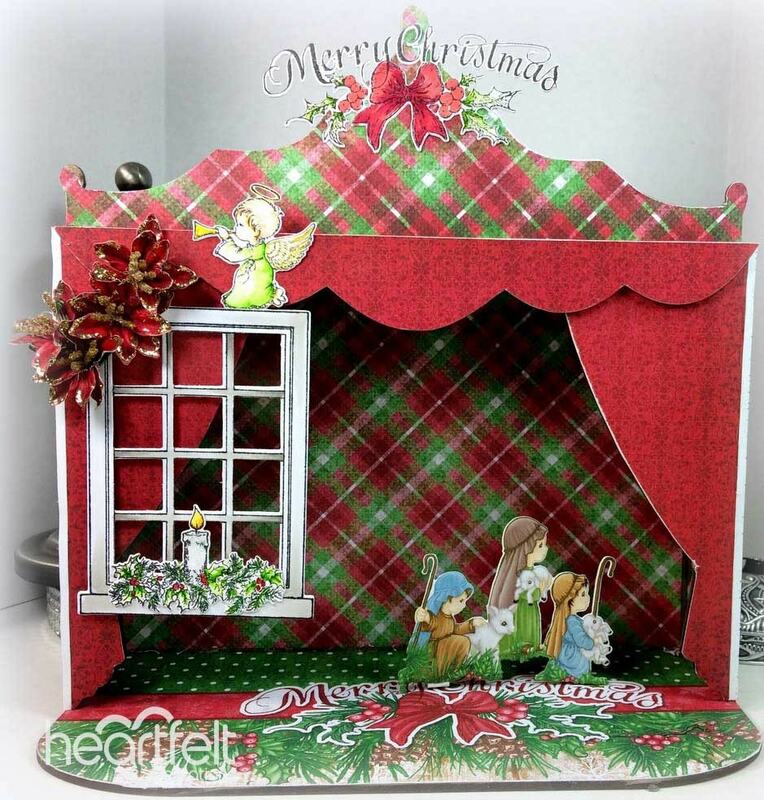 Fussy cut the Merry Christmas sentiment from designer paper and adhere to bottom of shadow box. Die cut the shepherds and angel from the sheet of patterned paper and place inside of the shadow box. Stamp the poinsettias on red designer paper and die cut. Use 2 - 3 layers per flower. 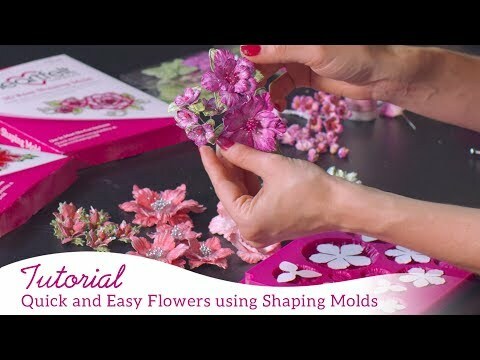 To shape, use the poinsettia mold, then pierce the centers and add the flower stamens. Once done apply the gold glitter glue to the flower edges. Set aside to dry. When dry, adhere onto shadow box.